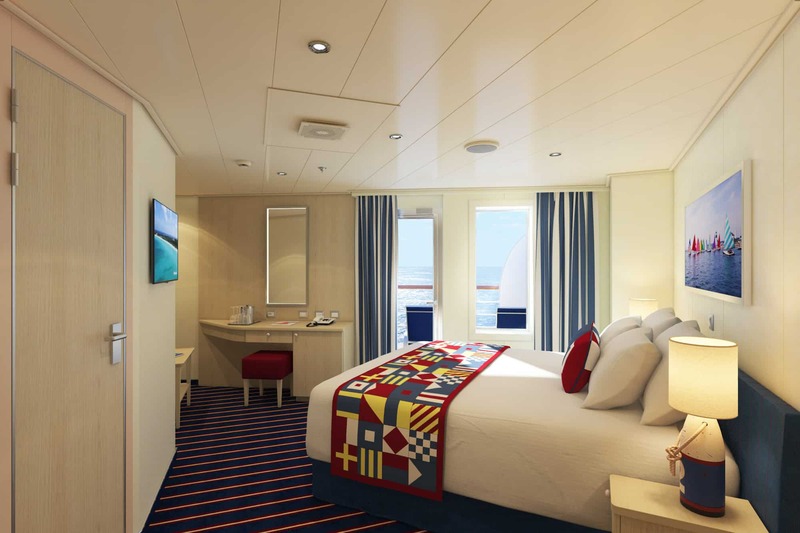 When Carnival Horizon begins sailing on April 2, 2018 she will have a new stateroom category for the line – aft-view extended balcony cabins located within the exclusive Family Harbor area. Additionally, the 133,500-ton vessel will offer an additional 18 tropics-inspired staterooms within the popular Havana section. Don’t missing booking Carnival Horizon now as she is scheduled to make its maiden voyage April 2, 2018, with a 13-day Mediterranean cruise from Barcelona – the first of four round-trip departures from this port. The ship will reposition to the U.S. with a 14-day trans-Atlantic crossing from Barcelona to New York May 9-23, 2018. Following a summer schedule of four-day Bermuda and eight-day Caribbean departures from the Big Apple, Carnival Horizon will shift to Miami and kick off a year-round schedule of six- and eight-day Caribbean cruises beginning Sept. 22, 2018. Carnival Horizon will also offer a special two-day cruise to Nassau from Miami Sept. 20-22, 2018. For reservations, contact any travel agent or call 1-800-CARNIVAL. Carnival can also be found on: Facebook, Instagram, Twitter and YouTube.